Have students try these activities to expand their knowledge and interest in Ancient Egypt. In the time line that runs throughout this unit, students learn about Egyptian events from 4500 B.C. to 31 B.C. Have students make up math problems using the dates in the time line. For example: How many years are there between when the first semi-permanent villages appeared in Egypt and when the Assyrians conquered Egypt? How many years ago did Alexander the Great conquer Egypt? Then, draw students’ attention to a few dates on the time line that do not directly deal with Egypt, such as the year the first Olympic Games were held in Greece in 776 B.C. Ask students to locate these places on a world map. Then students can do some research about other events that occurred in world history from 4500 B.C. to 31 B.C. They can add these events to the time line by writing the events and dates on sticky notes and sticking them on the approximate places along the time line in the issue. Have students write a short story in which a mummy is one of the characters. 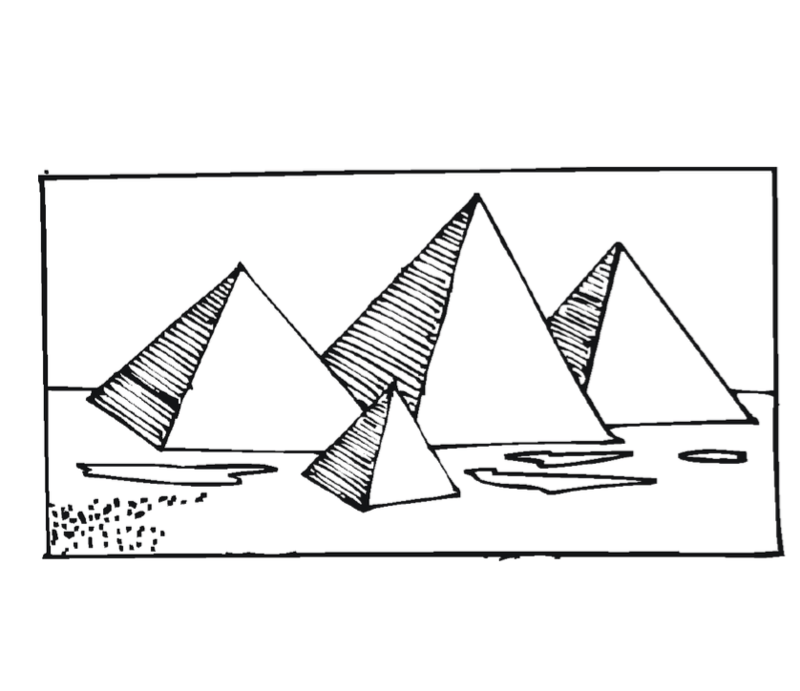 The story can take place in the present, or it can take place in ancient Egypt. Students can decide to tell the story in the first person, from the mummy’s point of view, or with an omniscient narrator. In Gods, Priests and Temples, students see various ancient Egyptian gods in some of their many forms. Have students “design” images to represent the god or goddess of beauty, the moon, the sun, love, the sky, or another part of life. Students should draw two different versions of the god or goddess—one in ancient Egyptian form and dress, and the other as a modern representation of the god or goddess. Students should write a brief description of what the god or goddess protected or represents, why they chose to represent it in the form that they did, and how their ancient and modern versions are alike and different. Display the artwork and writings on a bulletin board.